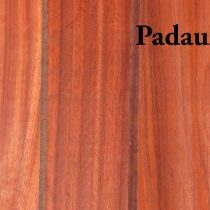 Padauk, grown in the Andameen Islands, is a heavy and dense hardwood. It has colors of crimson with streaks of red to brown. Used for furniture, pool tables, flooring and shingles.